A robot-driven world is often a mainstay of science fiction titles like Terminator and I, Robot. While that future may be far off, emulations — computers that scan and reproduce human brains — could be the first step into the age of robotics. 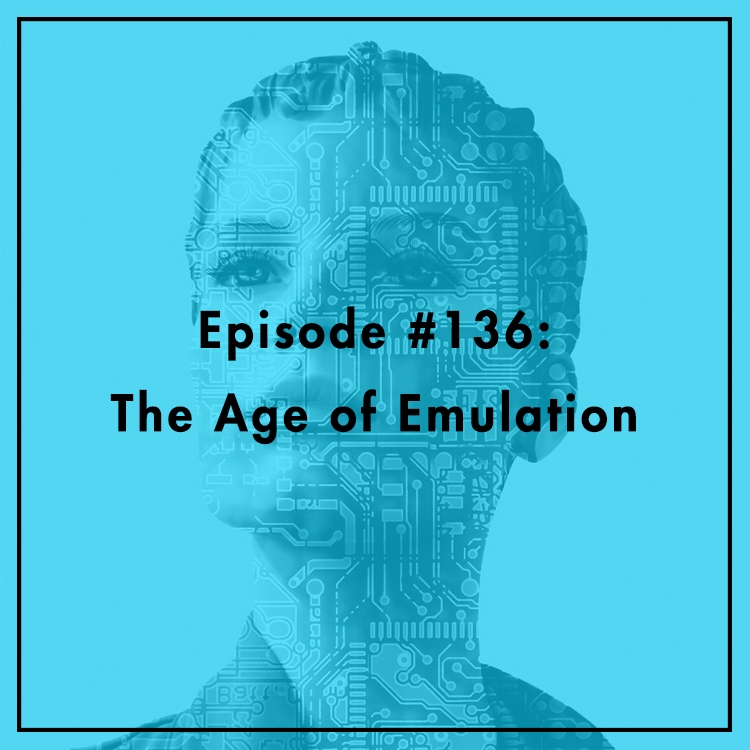 Their society could evolve at the pace of software, not hardware or biology — allowing for radical transformations in less time than it takes humans to get their dry cleaning back. So what might an emulation-based society look like? How would emulation technology affect how humans live in the future? Joining Berin to discuss is Professor Robin Hanson of George Mason University, author of The Age of Em: Work, Love, and Life when Robots Rule the Earth. For more, see the book’s website.